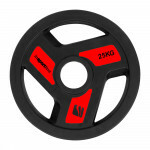 High-quality Olympic plates with long service life, can be used by its own as a dumbbell, wear resistant coating, great price/quality ratio. 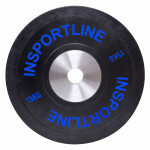 Olympic Steel Plate inSPORTline Hamerton 5 kg is a high-quality weight for barbells and weightlifting bars with 50 mm diameter holes. 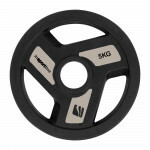 The special coating protects the plate from wear and possible corrosion. 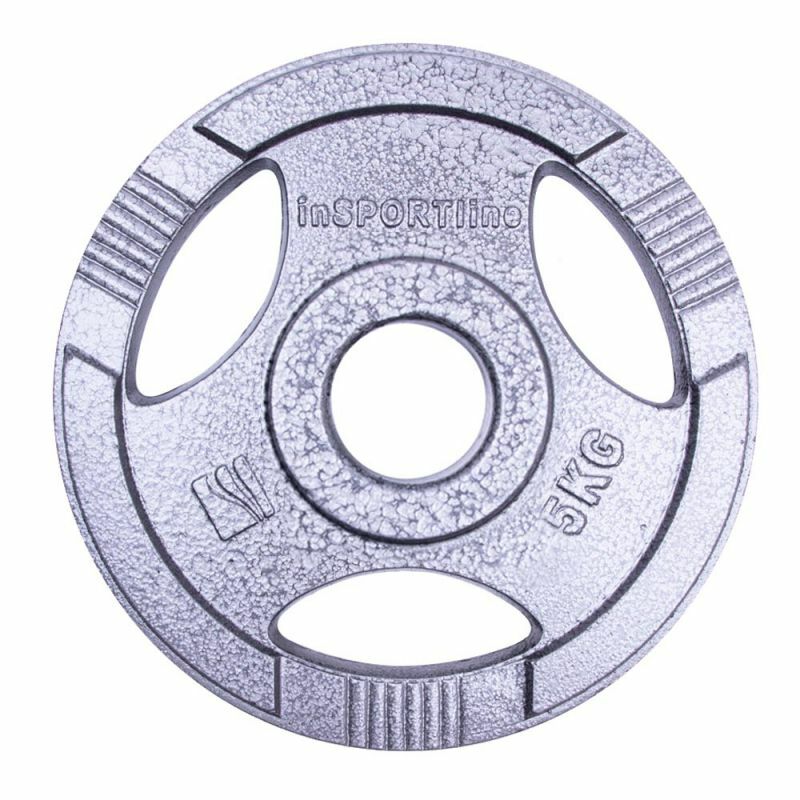 The plate is made of high-quality steel with long service life. 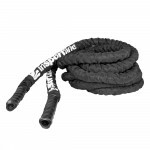 There are practical grips for better handling. The product looks old-school, sturdy and well-made. 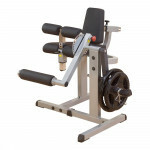 All these attributes make Olympic Plates inSPORTline Hamerton a popular, as well as essential part of every gym. 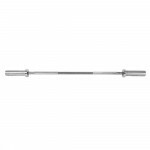 Olympic weight-lifting lever of high quality polished steel, non-slip ..
Olympic adapter 25 mm/50 mm 40cm..
For developing strength, endurance, rhythm and balance and to strength..
Medicine bal with grips suitable for group, pair or individual exercis..
Rubber coated weight plate, for 50mm (Olympic) bars, anti-wear coating..